Not all coffees are created equal. The streets are overflowing with watery brew; and this taste-bud nightmare continues to exist because good people remain silent. No longer! This travesty of coffee justice ends right here with this institution. At Truth. the bitter horror of the over-roasted bean is avoided, the coarse grind is banished and poor preparation is shunned. Experience coffee as a religion. 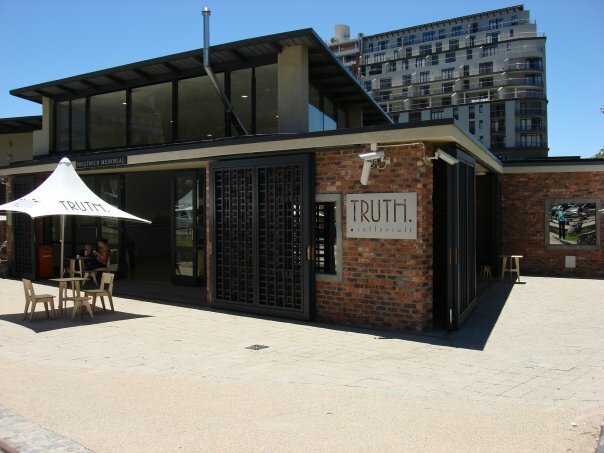 Truth Coffee Cult is 1km from the centre of Cape Town , the nearest airport 20.6km (Cape Town International Airport).